participating in national committees and response efforts in an emergency. In 2015–16, lychee production was valued at $28 million (LVP). Current annual production ranges from 2,250 to 3,500 tonnes, depending on climatic and seasonal conditions. Lychees are produced as a single annual crop with production significantly dependent on rainfall at the right time and cold winters to induce flowering. The harvest period is late October (north Queensland) to March (northern NSW) which provides the world’s longest production period. Australian lychees have a reputation for being fresh and sweet, however retailers must store and display produce carefully to preserve the quality. While official export trade data is not available specifically for lychees, the industry estimates that 12 to 20 per cent of annual production is exported. In 2015–16, 17 per cent of production was exported at a value of $5.5 million. Exports are increasing and, with recently approved markets available to growers and a successful trial of shipments to the United States, there is the potential for further growth. Most world production of lychees is counter-seasonal to Australia. The main competition for Australian lychees in the southern hemisphere is from South Africa and emerging supplies from some South American countries. 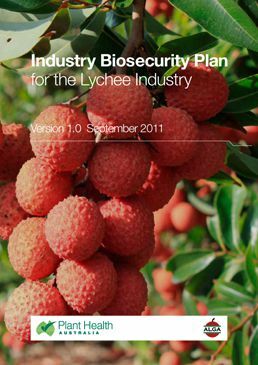 The lychee industry is covered by version 1.0 of the lychee biosecurity plan. Biosecurity planning provides a mechanism for the lychee industry, government and other relevant stakeholders to assess current biosecurity practices and future biosecurity needs. Planning identifies procedures that can be put in place to reduce the chance of pests reaching our borders or minimise the impact if a pest incursion occurs. 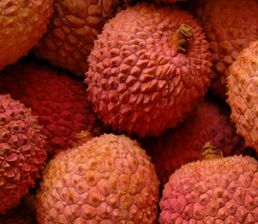 The Industry Biosecurity Plan for the Lychee Industry outlines key threats to the industry, risk mitigation plans, identification and categorisation of exotic pests and contingency plans. For a copy, please contact PHA on 02 6215 7700 or email admin@phau.com.au. The following is a list of high priority exotic pests of lychees. These pests were identified during the development of the Industry Biosecurity Plan for the Lychee Industry in consultation with industry, government and scientists. They have been assessed as high priority pests based on their potential to enter, establish, and spread in Australia (eg environmental factors, host range, vectors) and the cost to industry of control measures. PHA has a range of fact sheets, contingency plans and diagnostic protocols relevant to these pests. Pest risk review documents are also available for some pests. Please contact PHA on 02 6215 7700 or email admin@phau.com.au for more information. Endorsed National Diagnostic Protocols are available from the National Plant Biosecurity Diagnostic Network webpage. The following is a list of documents for other exotic and endemic pests of the lychee industry. Please note that this is not a complete list of pests: rather it includes pests for which documents exist in the Pest Information Document Database. Some of the documents presented here are not tailored to the lychee industry and are included for information only. Plant Health Australia is the national coordinator of the government-industry partnership for plant biosecurity in Australia.